Please join us for a special book launch event to celebrate the publication of Cultivating the Designer’s Mind: Process and Principles for Coherent Landscape Design by Walter Cudnohufsky with Mollie Babize. Walt Cudnohufsky and Mollie Babize are excited and pleased to announce the launch of their long-awaited book – Cultivating the Designer’s Mind. The origins of the book are embedded in and central to the philosophy and teachings of the Conway School during Walt’s founding tenure from 1972 to 1992, and ever since. Cultivating the Designer’s Mind focuses on how to go about the critical set of tasks of managing your mind when designing a landscape. Easy to read and highly illustrated (including many of Walter’s watercolor paintings), the book has something for everyone, including stories, case studies, proven principles of design, tips for the designer, and illustrative examples. The book will be valuable to landscape architecture students as well as established practitioners; there is much as well for the sister professions of architecture, engineering, planning, and more. Are you interested in purchasing a copy of the book, but unable to attend the launch on April 6? 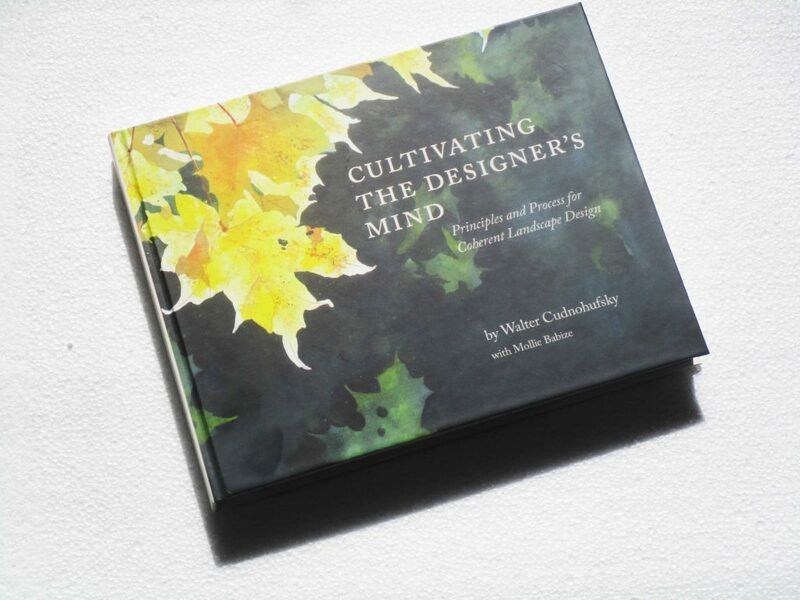 For more information about purchasing a copy of Cultivating the Designer’s Mind, email designersmind@wcala.com, or order directly by contacting walt@wcala.com.